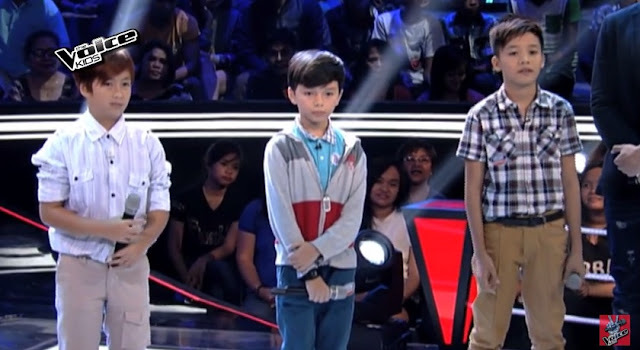 MANILA - Young hearthrob from Batangas Luke Alford moved on to the next round of the second season of "The Voice Kids" after beating his teammates on Sunday episode, July 26, 2015. Alford went against Jhoas Sumatra and Noah Anderson in the battle rounds, performing Jackson 5's hit song "I Want You Back." Coach Bamboo Manalac chose Jhoas for his pulse on the song while Coach Sarah Geronimo picked Luke. "Para kayong the next 1D. Pero kung pipili ako, ang prepared tonight is si Luke," the Popstar said. "This is going to be a tough one for me," Coach Lea Salonga said. She then went for Alford. Alford is the second member of Salonga's team to move on to the sing-off round. On Saturday, Jonalyn Pepito won the battles beating Aihna Imperial and Joemar Lazarraga.